Tampa Immigration Attorney Alberto Ayo is available to discuss immigration matters. The Law Firm of Ayo and Iken provides aggressive, loyal attorneys that understand how important your situation is. Immigration problems can result in your removal from the country. Now is the time to address your situation head-on. We treat every client as if they are our only client. 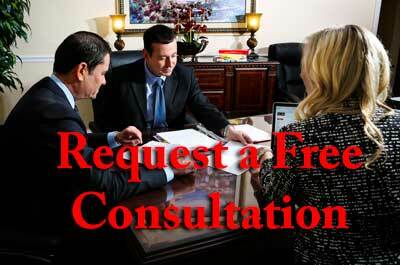 All consultations are free. Call us now. * Ayo and Iken may refer clients to attorneys working in cooperation with our firm. In that instance legal fees will be shared between attorneys responsible for your case. It’s the hope of many noncitizens to successfully obtain a green card. Being a permanent resident opens up new opportunities for individuals and can set them on the path to citizenship. Unfortunately, there are a number of mistakes that could result in the loss of a green card, and in the most serious cases also put an individual in danger of deportation. Even if it’s a non-violent misdemeanor, you could lose your green card and also face deportation. You have to be extra careful about making sure that everything you do, whether business-related or personal, complies with the law. If you are in any sort of legal trouble, or have any questions about legal matters, it’s best to consult attorneys who have expertise both in immigration and criminal law. These include a failure to apply for a renewal on time, providing inaccurate information on forms (or omitting necessary information entirely), and failing to notify immigration authorities of changes of address. Other violations involve not filling out the appropriate paperwork when you have to leave the country for more than a certain amount of time. Some green card holders make the mistake of thinking they can reside the majority of time outside of the US, and that as long as they happen to pop in from time to time to visit, they’ll be giving sufficient proof to immigration authorities that they intend to remain the US. In reality, it doesn’t take much for immigration authorities to decide that someone doesn’t intend to be a permanent US resident; even if you’re planning to live outside the US for only a few months, you need to be cautious. It’s best that during the duration you continue to have a permanent address in the US, file taxes, maintain a US bank account, and be able to demonstrate why it is you need to live outside the US as well (e.g. a job contract). If you’re planning any extended stays abroad, don’t hesitate to consult with immigration lawyers to ensure that you’re covering all angles. In general, whether it comes to filling out applications, handling legal troubles, or proving to immigration authorities that you intend to be a permanent resident, be sure to reach out to Hillsborough County immigration lawyers who will be able to advocate for you in court and provide you with guidance.